Ratan means Jewel in Hindi. This hill fort is indeed jewel in all the hill forts here in Sahyadri. 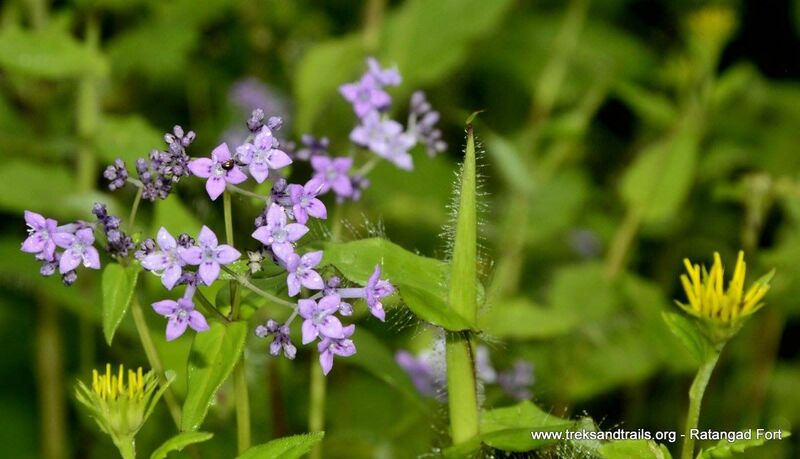 It is located in the district of Ahmednagar and is located about 4255 feet above sea level. 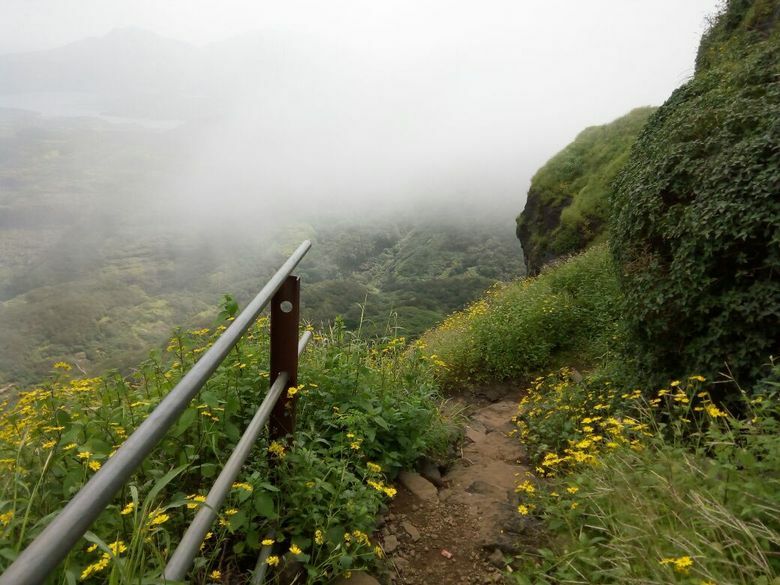 It lies in the Ajoba mountain range surrounded by great mountains of Kulang, Alang, Kalsubai, Katarabai, Ajoba and Ghanchakkar. 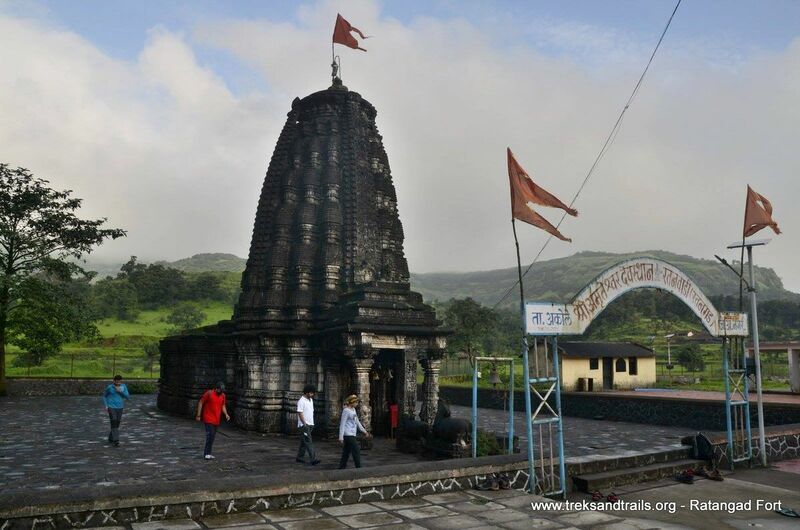 Geographically Ratangad is at the banks of Bhandardara lake of Ahmednagar district. 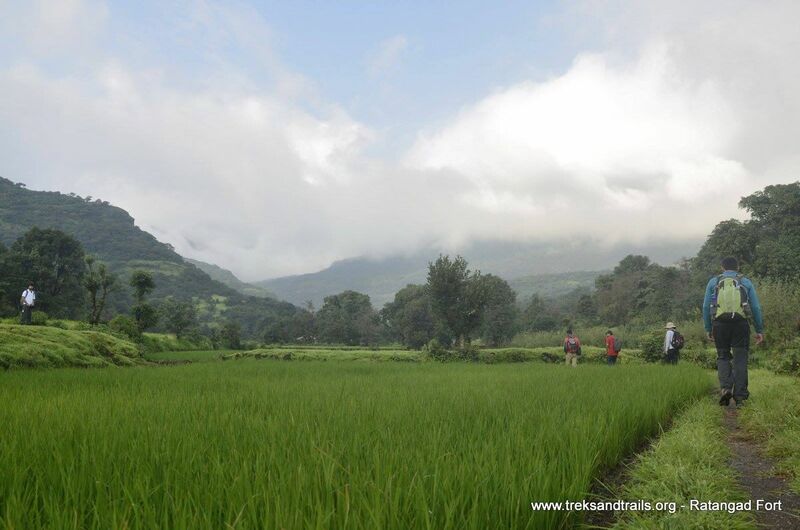 With views of lake and highest mountains in Sahyadri looks very much lost in time. 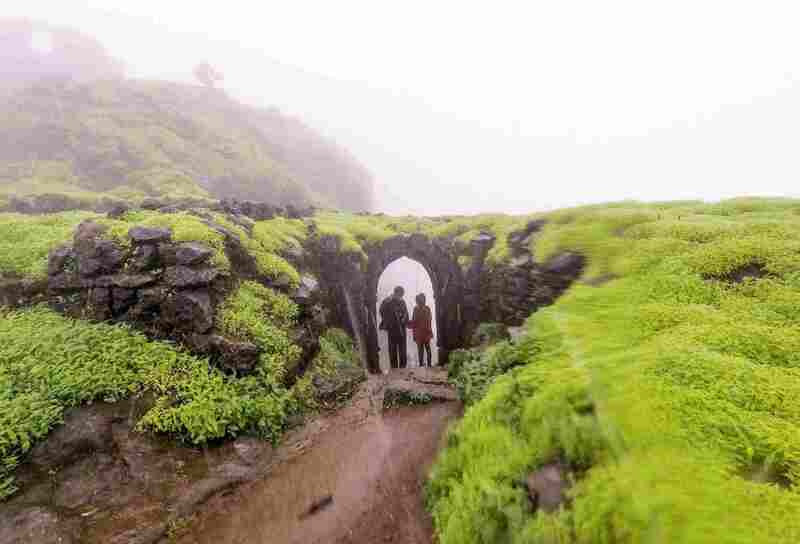 This fort offers offers fabulous views of majestic Sahyadri ranges. Right from Katrabai till Sandhan Valley. 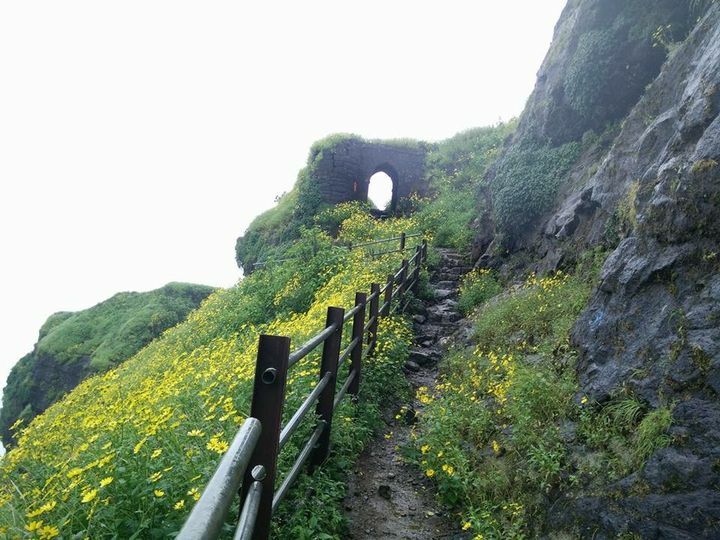 One of the most beautiful forts in Flowering September, Ratangad seems to shadowed by yellow Sonki Flowers. Ratangad has still the remains of fort with bastions and stone walls. Cave on the top is cut from the rock face and can easily accommodate 25 people at a time. 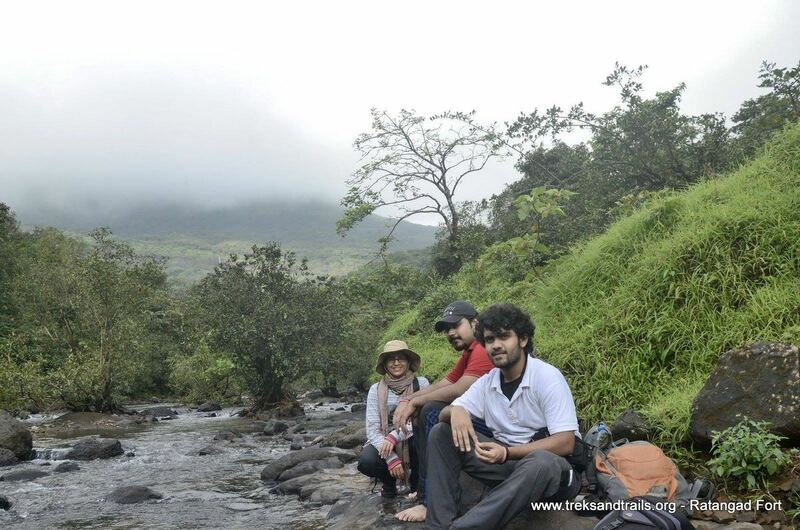 Water cisterns are usually filled with water throughout the year and trekkers use them as water source. Eastern side of the fort has some fortification left, one can see Rani mahal here. From the southern side on can see Katrabai and Ajoba fort very close. Climbing down the Nedhe to the western end of the fort leads closest to the Khuta pinnacle via Trimbak Darwaja.